Late last year EasyJet made an announcement that made tech nerds giddy with excitement, new wearable technology for their staff. The technologic custom workwear, which, depending on how you look at them, either look very advanced or like the costumes of a Star Trek parody, feature LED lights, cameras and screens where information (like flight times) would be projected. It is not yet known when the new uniforms will be officially premiered, but the airline did state that they will start trying the new pieces sometime in 2016. The uniforms have been designed by CuteCircuits, a company that specialises in smart fashion, skirts with LED lights that can be controlled with smartphones and the like. In the past, they have worked with celebrities like Katy Perry and Nicole Scherzinger. So many questions. When will they make their first flight? Can the outfits go past security without setting off alarms? Will they be able to serve peanut bags? And most importantly, will the new suits allow flight attendants help you when you actually need it? One thing is for sure and that is that EasyJet is not the first and won’t be the last to employ wearable technology at the workplace. 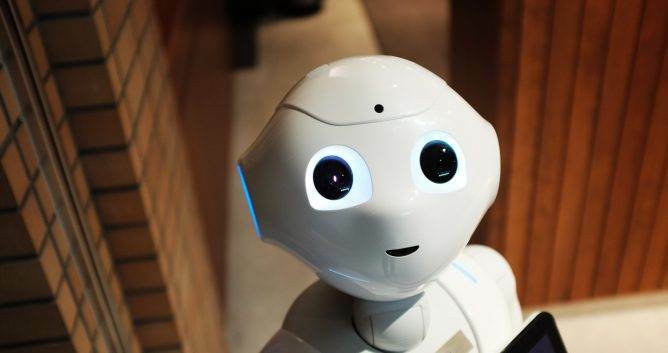 In fact, as the technology is developed and becomes more refined it will only become more accessible and easier to hide in our everyday work clothes. Wearable technology is nothing new, according to Wikipedia in the late 1800’s event organisers could hire a young woman dressed in a lightbulb-studded evening gown to animate a party. The difference between then and the present time is that we can now monitor our vital stats and also synchronise everything with our smartphones which a, makes it more accessible and b, more comfortable. Why should we consider wearable technology in the workplace? Wearable technology may seem at first like a trend or a way for companies to show off in front of their competition. We can spend more money on uniforms than you! HA! And yes, that just might be the case sometimes, but it is also undeniable that wearable tech can provide great benefits for workers. When we hear the term, the first images that come to mind are dresses that display tweets or a waistcoat with LED light suitable only for an office Christmas Party, but wearable technology also applies to the smart fabrics some firefighters wear to prevent them from getting burned and the sensors on the workwear of miners that warn them when they might be venturing into dangerous grounds. So what is the next big thing? 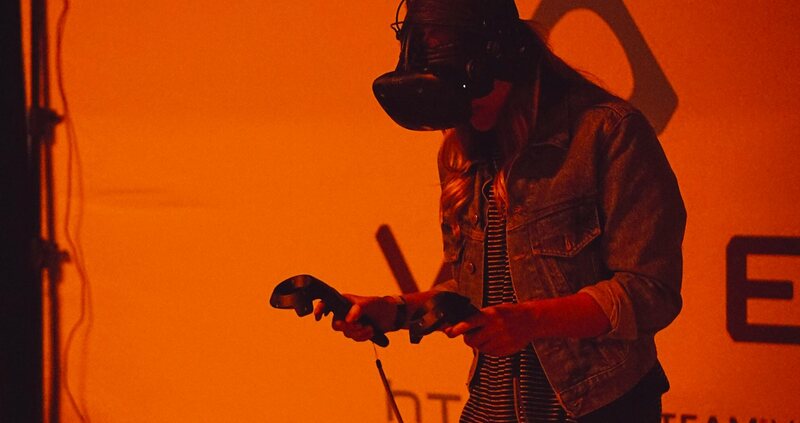 We’ve scavenged through some of the best blogs of the internet to try and find out what is the next big thing for wearable technology in the workplace. What’s next in wearable tech uniforms? At first glance, it looks like a watch, but Wristify is more like a tiny air conditioning device you carry on your wrist. Its premise is pretty simple, it releases cold onto a specific area to refresh your entire body. Kind of like when you splash your face with cold water during a hot summer day. There’s still no word on when it will be released, how much it will cost or even how long the battery will last. Personally, I think this device would be a wonderful gift for any person that works outdoors during the summer. People like Disney World workers who have to put on the 40-pound suit to represent a character, under the scorching sun of Orlando, would surely appreciate the Wristify. Created by Swiss startup Noone, the Chairless Chair was designed for workers who have to spend hours on their feet. The revolutionary design made out of titanium works as an external skeleton that’s attached to the lower part of the body. Workers would be able to walk normally until they find the position they need to stay in for a while, and then all they would have to do it “set up” the chair by hitting a button and it would no longer be flexible. It is supposed to weight 2 kg (4,4 lbs) and can support up to 107 Kg (240 lbs) There is still no news on when the invention will be available for purchase because a patent is still pending, but Audi is one of the enterprises interested. Do you practice Yoga? If you do, have you ever wondered if the teacher is actually practising the asana in the correct way? I have. Nadi X would be a solution to that problem since they promise to fix your pose as you’re practising it. This technology has been developed by Wearable Experiments, a company specialised in smart clothing. Among their other inventions are the Fan Jersey, which takes a Football game to a whole new level, the Fox Alert Shirt, which is designed for athletes to read their stats, and among their future endeavours is a jacket which tells you how to go to your desired location by vibrating on your shoulders. As the name implies, the device it’s a glove that’s meant to be worn by manual labourers. It is a smart glove that uses sensors and motion tracking technology to memorise procedures, so in the future, it can warn users when these processes are not being followed correctly. The ProGlove won the third price in Intel’s Make it wearable 2014 challenge. The Samsung suit works with an NFC chip that can be worn as a lapel pin. The user can configure the chip to make the phone go silent when it’s inserted into a pocket (useful when going to meetings), makes it easier to exchange contact information with other Samsung clients and can even read your golf swings. Unlike other smart clothing, this garment is very wearable and can be taken to the dry cleaners like any other suit. It is available in South Korea, but there is still no news if it will be sold overseas. Have you ever imagined understanding when someone else is talking to you in a foreign language? 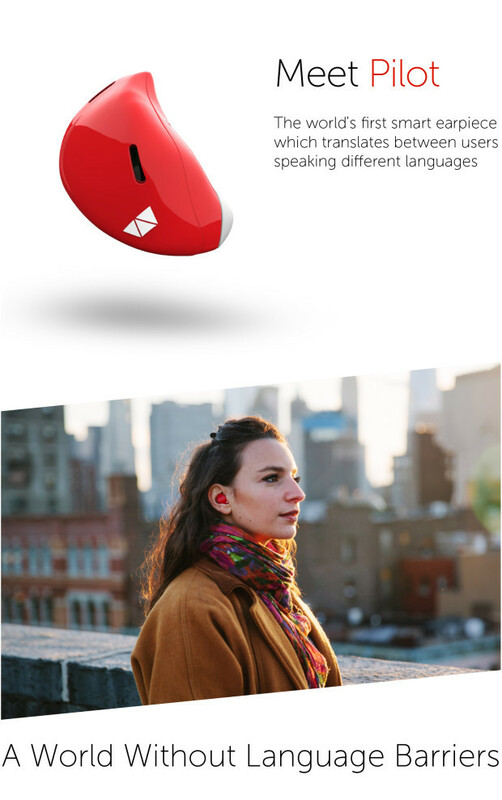 This device promises to do just that, it’s like having your very own tiny personal UN translator inside your ear. People who have pre-ordered will receive their models by May 2017 and will include English, Spanish, French, Italian and Portuguese, with promises of more languages being added in the summer/fall of that same year. At the moment The Pilot will only be able to translate the language spoken by people who wear the same device, but it promises that in the future it will be able to pick any from your surroundings. Researchers at Penn State University in Pennsylvania have developed a new kind of element that heals itself after it’s been broken. According to one of its developers, the new electronic material can repair itself and restore its functionality. So far there are no news regarding if a company is interested in employing the new material, but I think we can all agree that it is a matter of time. Can you imagine? Manufacturers could provide higher quality goods and businesses would be able to save more money. The possibilities are endless. 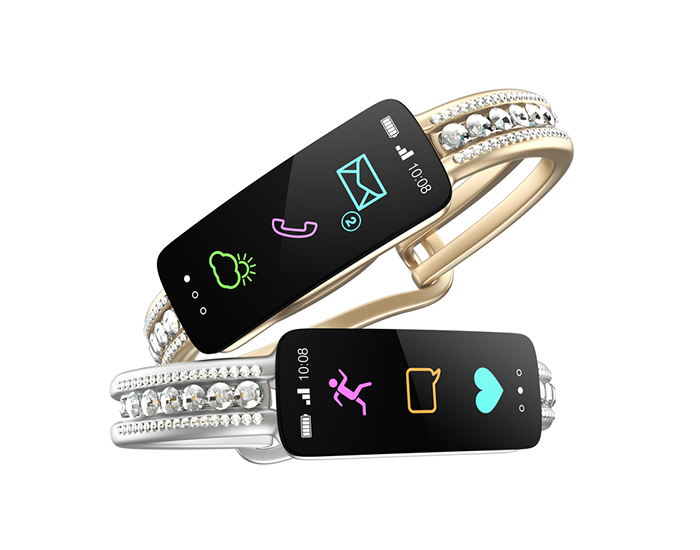 Ringly, and Nymi to design wearable tech accessories for women. This means that a ring, necklace or purse could have the potential of running a transaction and therefore making a buy/sell process much quicker and safer to the user. Wearable tech, while user-friendly it’s not quite accessible in terms of pricing. Ermenegildo Zegna’s Icon Jacket, built in with Bluetooth technology, goes for a grand total of £880 (approx) and the late Google Glass costed about £1020. Most of the time, the rest of us mortals just wait for the prices to drop — because eventually, they do— but with this new venture by TopShop, we may not have to wait that long. The British retailer just announced a collaboration with tech investment company L Marks to fund and help startups develop wearable technology for the high street. If this venture proves to be successful, this would mean that businesses of all shapes and sizes could have the potential of dressing their employers with the latest technology. The two juggernauts have joined forces to design the ultimate commuter jacket. With cyclists in mind, this garment features a sensor that controls the user’s smartphone by accepting or declining calls, modifying the volume, and skipping songs (listening to music while you’re riding a bicycle sounds awfully dangerous, but that’s just me). The companies will start testing the product during the late spring and early summer of 2016 and it will become available at retailers sometime in 2017. There are still no news regarding the price, but it will probably be costly.